Arkansas neon underglow usage is governed by the state's Code. All relevant laws, rules and regulations pertaining to vehicle lighting including car underglow in Arkansas have been provided below. Make sure to examine the regulations carefully and do not use any restricted lights. Usage of neon underglow lighting is governed by Arkansas Code, Title 27: Transportation, Subtitle 3: Motor Vehicles and Their Equipment, Chapter 36: Lighting Regulations, Subchapter 2: Lighting Requirements Generally. Is neon underglow legal in Arkansas? Arkansas has very restrictive car lighting and neon underglow restrictions. While on roads ensure that all additional aftermarket lighting on your car (except as noted above) is turned off or you may face penalties. There are no relevant AR laws which specifically restrict or prohibit installing car underglow, meaning we consider it legal to use it while on private property. However, we still recommend completely avoiding blue, green and red colors on any aftermarket lights including street glow, as these colors are typically used for emergency vehicles. Below are all relevant excerpts from Arkansas Vehicle Code that limit, restrict or allow certain aftermarket lights to be installed on vehicles. 27-36-214. Spot lamps, fog lamps, and auxiliary passing and driving lamps. (e) Ornamental Light-emitting Diodes White Lights. No motor vehicle may be equipped with more than two (2) ornamental light-emitting diodes white lights mounted on the front of the vehicle. 27-36-215. Tail lamps and reflectors. [...] (c) (1) (A) Either a tail lamp or a separate lamp shall be so constructed and placed as to illuminate with a white light the rear registration plate and render it clearly legible for a distance of fifty feet (50′) to the rear. 27-36-217 – Additional lighting equipment generally. (a)Any motor vehicle may be equipped with not more than two (2) side cowl or fender lamps which shall emit an amber or white light without glare. It is unlawful to operate any motor vehicle on a public street or highway with any auxiliary driving lights on unless the lights are original equipment lighting installed by the vehicle manufacturer prior to the initial retail sale of the motor vehicle, fog lamps conforming to the provisions set forth in 27-36-214(b), auxiliary driving or passing lamps conforming to the provisions set forth in 27-36-214(c) and (d), or ornamental light-emitting diodes white lights conforming to the provisions set forth in 27-36-214(e). 27-36-222. Penalty for violation of 27-36-221. Any person violating the provisions of 27-36-221 shall be guilty of a violation and upon conviction shall be punished accordingly. Our information about car neon underglow laws in Arkansas was last updated in 2018 and checked in 2019. In case any info we provided is not up to date or correct be sure to contact us so we can revise it. Thank you! Check our data with your local law enforcement or other relevant agencies! 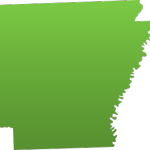 Arkansas underglow laws in certain cities or counties may be different from state legislation. While we do our very best to provide the most accurate information about LED and neon street glow usage we will not be held liable for any potentially incorrect or misinterpreted info. Have questions about traffic or neon glow laws in Arkansas?